Kofi Annan said, “Knowledge is power. Information is liberating. Education is the premise of progress, in every society, in every family.” If that’s the case, then why don’t we have accessible and highly visible information on transportation safety in cities? If we only knew the true health and safety costs, wouldn’t we make better decisions on transportation infrastructure and policy? I propose public injury and fatality counters along major transportation routes to make the point. I’d like to think that we’re pretty smart and that our governance systems are pretty good. 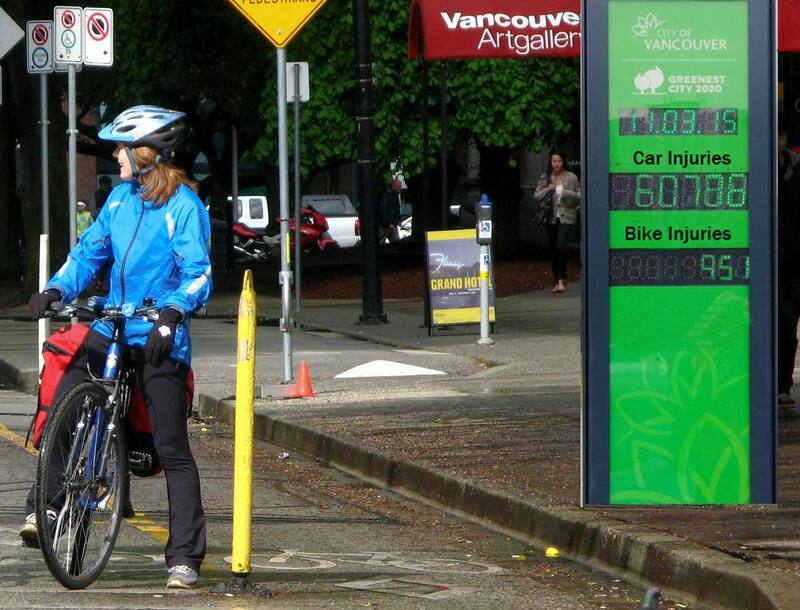 We’re starting to recognize the connection between transit and health, walkable communities and health, and cycling and health… but acting on this information, however, we’ll see. Give people enough information and they’ll make the right decision—at the ballot box, in the grocery store, or anytime they’re weighing between two or more alternatives. While that might be a generalization, and an optimistic one, my thesis is that at the local level, compelling evidence can be a recipe for rational decision-making. Are you aware of the costs of an auto-centric transportation network? Cars are expensive and come with a number of costs—and I’m not talking sticker price: road construction and operational costs manifest through taxation, air quality degradation, congestion, decreased public health, and environmental externalities like SO2 and carbon pollution. These are public costs imposed on others everytime an individual chooses to drive. While some of these costs are easily quantified, there’s a big number that we generally don’t talk about—injuries and fatalities. Healthcare is the largest single use of public tax dollars in Canada and traffic accidents can be traumatic, expensive, and life-altering. That’s in the Lower Mainland alone. How about auto related fatalities? To put that into perspective, the Canadian military mission to Afghanistan lost 158 people over a period of a dozen years. 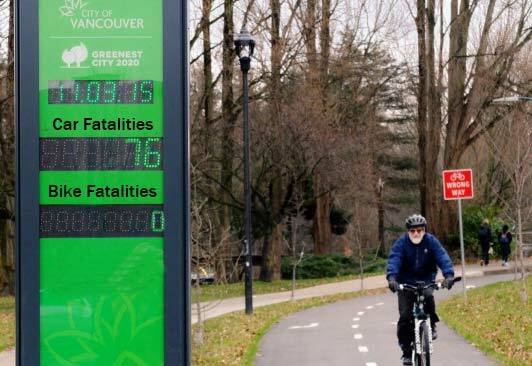 On bike commuting, according to ICBC statistics, Lower Mainland cycling injuries average out at around 950/year with about 8 fatalities per annum. Sure, cycling incident rates are higher on a per capita basis than cars, but that’s not the point. For the most part, streets and land use are designed around autos, and we’d all be much safer with a transportation mode shift to walking, cycling, and transit. Vancouver recently eclipsed a 50-50 mode share—50% walk, bike, transit and 50% car, but the rest of Metro Vancouver pales in comparison and we’re behind a number of other progressive cities. If we keep going on that trend, reduce the number of vehicles on the road (and smooth out road use by encouraging travel at non peak times), and slow traffic we’ll be able to reap the rewards of a safer transportation network. Why not be transparent about other transportation data? 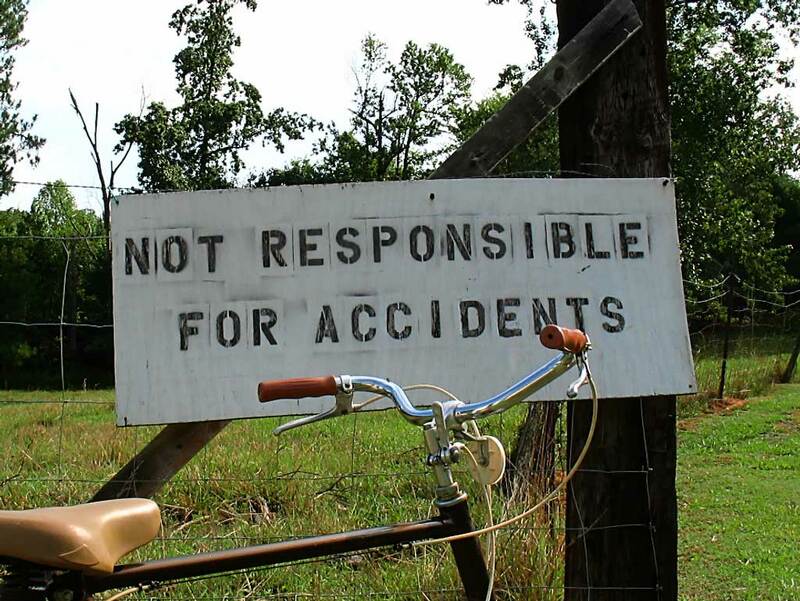 My tongue in cheek proposal is to have billboards around the city that account for injuries and fatalities by mode. Obviously, real time dashboards might not be realistic given the lag in reporting injury data, but you get the point. If you want to talk about building political support for traffic calming, bike lanes, transit investment, and road pricing, it starts with a human focus—this is why we do it. * There is a surprisingly high tolerance in society for transportation fatalities, or is it ignorance?